Micro Point Link is the only solution on the market designed specifically for men with fine hair. Micro Point Link fills in where other extensions can’t to create thicker hair. No adhesive is necessary, making them ideal for highly visible areas on the scalp. Instead, this process involves a technician tying four small, undetectable knots onto each strand of hair allowing the hair to look and feel natural. 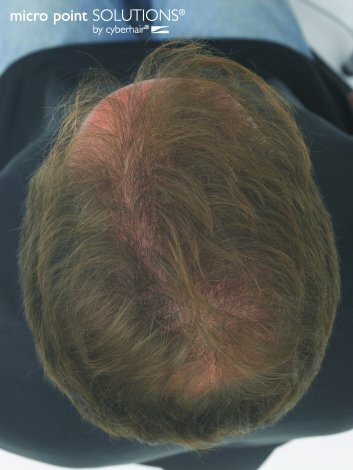 Men who have used Micro Point Link may have up to 600 additional strands of hair added throughout the scalp – particularly important for thinning areas. 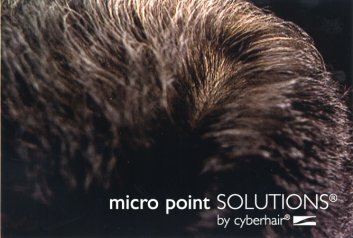 Micro Point uses Cyberhair, a lightweight hair that men wear while swimming, playing sports and much more. 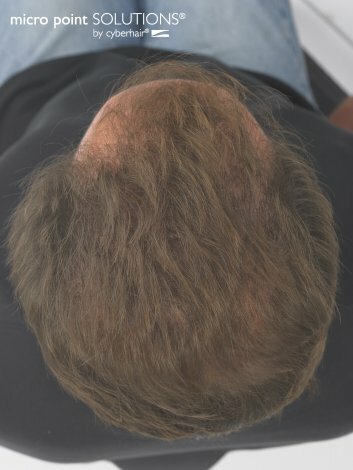 We understand hair restoration and treatment options can be overwhelming. That’s why we’re happy to answer any questions you may have as well as provide additional information about Micro Point Link. Schedule a free, no obligation consultation today, please call 513.891.5411.